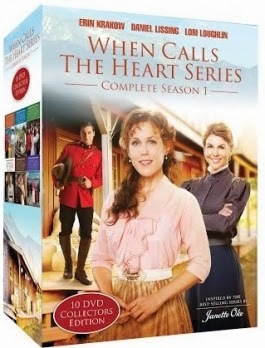 Thanks to Flyby Promotions I'm one of the newest Hearties, which means I totally binge watched the first season of When Calls the Heart that's on the Hallmark Channel. I fell in love with this series and think you will too (if you already aren't swooning over it). I'm a little bit obsessed with everything including the impressive wardrobe from that time period. A couple of days ago I was fortune to be in on a live conference call with Erin Krakow, the actress that plays Elizabeth Thatcher, we were able to ask her questions and hear her thoughts on the new season. A special thank you goes out to Heidi over at Heidi's Head for asking this question. Your wardrobe on the show is fabulous, but I’m curious if the dresses are constricting and hard to work in? Do you have a favorite dress that you have worn on the show? Erin clued us in that the dresses are very constricting to work in and that she does indeed wear a corset under those gorgeous gowns. Erin mentioned that this was one of her favorite dresses while working on this season of WCTH. As a young teenager I read Janette Oke's book series Love Comes Softly series and loved it. So I was excited to find out that When Calls the Heart is loosely based on a series of books by the same name. Here's a sneak peek at some of the scenes from the new season! You could WIN the complete first season on DVD by entering below! Giveaways valid in US & Canada only. 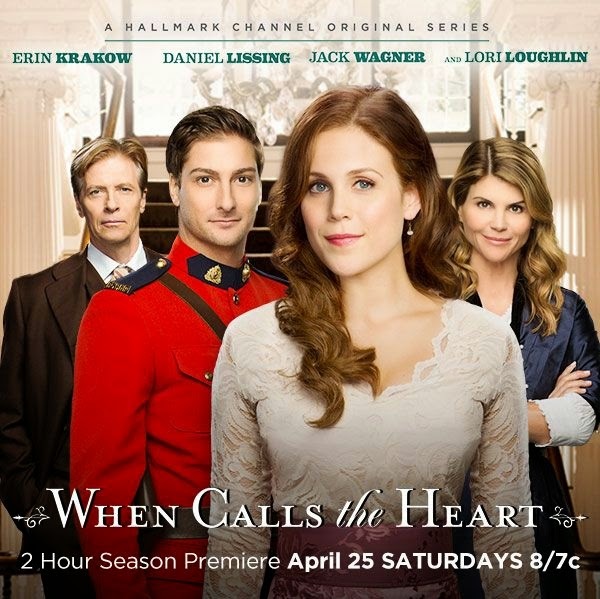 Be sure to tune in if you can during the live premiere (April 25th) on Hallmark Channel — there will certainly be activity on Twitter amongst the hearties! I'll be Tweeting live and would love for you to join in I'm @JustWedeminute on Twitter and you can look for hastags #hearties and #faithTV to join in on the fun!